As the world mourns the loss of Diana, Princess of Wales, one young woman uncovers a forgotten story of passion, betrayal, and a scandal surrounding the British crown in this unforgettable novel by the bestselling author of The Secret Wife. Two women who challenged the Crown. 1911: When fifteen-year-old Mary Kirk meets Wallis Warfield at summer camp, she’s immediately captivated by her fearless, brazen, and self-assured personality. And Wallis has a way with the boys who are drawn to her like moths to a flame. Though Mary’s family isn’t crazy about her new best friend, she steadfastly stands by her side—even years later when they’re adults and rumors swirl about Wallis and her reckless behavior with none other than the Prince of Wales. But when Mary’s loyalty to Wallis comes into question, their friendship will be put to the ultimate test. 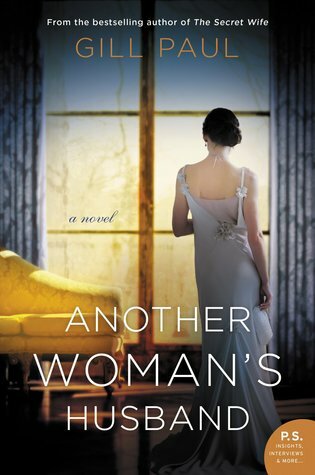 Another Woman’s Husband by Gill Paul is an outstanding tale of historical moments and people and bringing them to life. Princess Diana is a world known tragedy. A loss that was felt heavily. And now, a young woman and her love are weaving through history and piecing together the sad story. Lives are entwined in more ways than one. It was entertaining to follow. I wanted to know all the juicy details and lives that the historical characters lived. Secrets, letters, and a piece of jewelry are all they have. From there, history is reawakening. The pages flew by and I fell in love with the protagonists. At the beginning, I wasn’t sure where the story was really going. But I soon caught up and understood which direction it quickly took. The path of discovery, truth, and love were powerful. Scandalous, risky, and a bit sad, I thoroughly enjoyed Rachel and Alex work together in unfolding the pieces that were two women’s lives. I recommend this journey for all. Readers who love historical figures, a bit of mystery, and a good ending will enjoy this novel.